We believe that following Jesus happens best when we’re in community with others. While there are lots of ways to connect at Mercy, small groups are at the heart of what we do. We have a variety of groups to choose from, whether you are looking to make friends, grow spiritually, or serve the city. At the bottom of the page, is a list of groups. Before visiting, please contact the leaders for current group information. Make friends: Meet up with others who share an interest or activity. Grow spiritually: Join a small group of people coming together for regular prayer & fellowship. Serve the city: Commit to a team supporting organizations throughout Minneapolis-St.Paul. We like to play games. 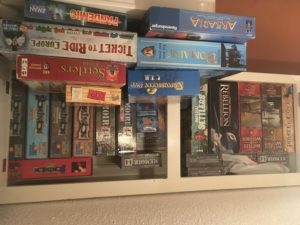 With so many new and interesting options coming out all the time, we want to provide a space to play on a regular basis and meet other people who like to play. Bring what you have, or try something new. Players of all experience levels are welcome. Contact the group organizer for more information.